CSKA Moscow edged closer to becoming the Group C champion by downing rival Zalgiris Kaunas 88-72 at home in the Russian capital on Wednesday night. CSKA improved to 11-1 and will clinch the top spot in Group C if Fenerbahce beats Winterthur FC Barcelona on Thursday. Meanwhile, Zalgiris dropped to 1-11 and has been mathematicaly eliminated from Top 16 contention. David Andersen led the winners with 18 points on 3-of-3 three-pointers. 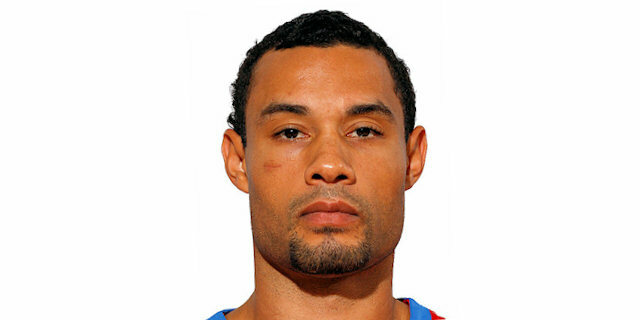 Trajan Langdon added 15, J.R. Holden 12 and Aleksey Savrasenko, Theo Papaloukas and Tomas Van den Spiegel each scored 10 points for CSKA; who were without David Vanterpool. Papaloukas added 9 assists in his first start in a Euroleague game since January 30, 2003. 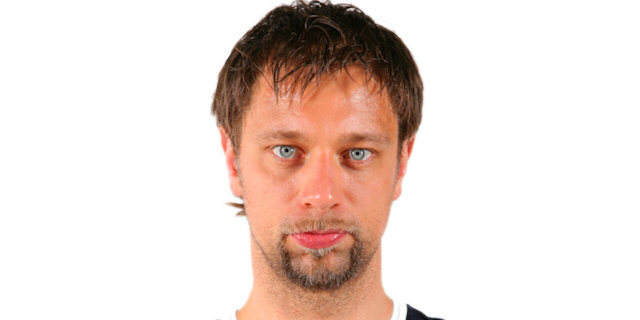 He had come off the bench in 91 consecutive Euroleague games, in which he has redefined the sixth man role worldwide. Kirk Penney had 14 points for Zalgiris, Tanoka Beard and Jonas Maciulis each added 13 and Mantas Kalnietis tallied 10. Andersen and Savrasenko fueled a 14-0 run in the second quarter, which allowed CSKA to get a 43-31 lead at halftime. Zalgiris found its go-to guy in Penney, who had 8 points in a 1-14 run that allowed the guests to get their last lead, 56-57. Langdon, Holden and Andersen had the final word, as they led a 14-0 run that broke the game, 70-57, midway through the fourth quarter. Maciulis opened the scoring with a close-range basket, but Papaloukas answered with a three-point play to give CSKA a 3-2 lead. Paulius Jankunas stepped up with back-to-back jumpers, but a basket inside by Aleksey Savrasenko and a second-chance dunk by another surprising starter, Nikita Kourbanov, kept CSKA ahead 7-6. Langdon scored his first basket on a mid-range jumper that Tanoka Beard erased with a big dunk, and by the time Kalnietis scored in penetration, Zalgiris was back ahead 9-10. Maciulis fed Penney for an easy layup. Van den Spiegel stepped up with a second-chance basket, but Kalnietis answered from downtown to give Zalgiris an 11-15 edge. Van den Spiegel kept pacing CSKA with free throws and a layup, but an active Maciulis scored again to keep Zalgiris ahead 15-17. CSKA found a go-to guy in Andersen, who struck twice from downtown during a 9-0 run that gave the hosts a 24-17 lead after 10 minutes. Zalgiris attacked the basket early in the second quarter. Maciulis scored in penetration, Beard added a baseline jumper and by the time Kalnietis scored in the paint, Zalgiris was within 24-23. CSKA went scoreless for 2 minutes until Andersen buried a four-meter jumper, but even though Zalgiris had improved its defense, it also kept committing turnovers. Papaloukas stepped up with a dunk and then fed Savrasenko for an easy basket, forcing Zalgiris to call timeout at 30-23. Andersen hit another shot before Papaloukas found Savrasenko twice for consecutive layups that gave CSKA a 13-point lead, 36-23. Papaloukas scored off a Zalgiris timeout to cap a game-breaking 14-0 run, as Zalgiris went scoreless for 5 minutes until Hanno Mottola stepped up with a layup. Maciulis dunked it, but Holden answered from downtown for a 41-27 CSKA margin. Jankunas scored in the paint and Marcelinho Machado added free throws brought Zalgiris within 43-31 at halftime. Maciulis kept shining after the break with his second dunk, that Matjaz Smodis matched with his first basket. Machado buried a triple from the top of the key that Langdon erased with a corner three-pointer. A five-meter jumper by Beard gave Zalgiris some hope at 48-38. Maciulis buried one from downtown, but free throws by Papaloukas and Langdon kept CSKA ahead, 52-41. Beard scored inside, but Langdon buried another triple. Machado joined the three-point festival while Penney went on fire. He buried back-to-back triples and soon added free throws to single-handedly bring Zalgiris back into the game, 56-54. Kalnietis capped a 1-14 run with yet another three-pointer, giving Zalgiris its first lead in the half, 56-57. CSKA called timeout and found its scoring reference in Andersen, who nailed a jumper and fed Langdon for his third triple in this period, good for a 61-57 CSKA lead after three quarters. CSKA improved its defense early in the final period and found its go-to guy in Holden, who hit a jumper and found Andersen for a three-pointer, which gave the hosts a 66-57 lead. Once again Holden scored in transition and Savrasenko found an easy layup to make it a 13-point game, 70-57, after a 14-0 run that bridged between the quarters. Zalgiris went scoreless for almost 3 minutes until Beard stepped up with a layup, but Kourbanov matched it and Anton Ponkrashov buried one from downtown to break the game open, 75-61, midway through the final period. Penney tried to ignit a miracle comeback, but Holden fired in another three-pointer and by the time Kourbanov followed a layup with a dunk, CSKA led 82-65 with 3 minutes to go. Zalgiris never surrendered but could not escape with a win, while CSKA got closer to one of its initial goals of the season. "Zalgiris played without Popovic, on our side we missed Vanterpool for all of the game and Smodis for the most part, as he did not feel well tonight. Both teams had a chance to play young players and they showed some good performance. On our side, it was also the solid game of David Andersen. In the third quarter, we lost our concentration for a while and let Zalgiris to score several three-pointers. But then we played focused and right now we are very close to the top position in the group." "We suffered a lot from our turnovers. It is one of our main problems. Tonight we made as many as 17. But we showed good discipline until the moment we evened the score. After that, our young players were not so focused on defense. They want to show something on offense and because of this reason, we are losing leadership. The game in general was very similar to the one we played against Winterthur. We miss Popovic a lot." "Good win and the important one in terms of the rivalry between our teams. After a good start, we missed some important shots in the third quarter, but later came back playing focused." "Tough match. We showed a good performance until the third quarter when Zalgiris started to shoot well. But we played as a team and it helped us to get some leads in the last quarter." "We met a very strong rival and we had a chance to change the game in the third quarter. But CSKA showed why their team is the Euroleague champion. In three or four possessions, they changed the scenario of the game once more. We made too many turnovers tonight and it is very hard to play in this gym."